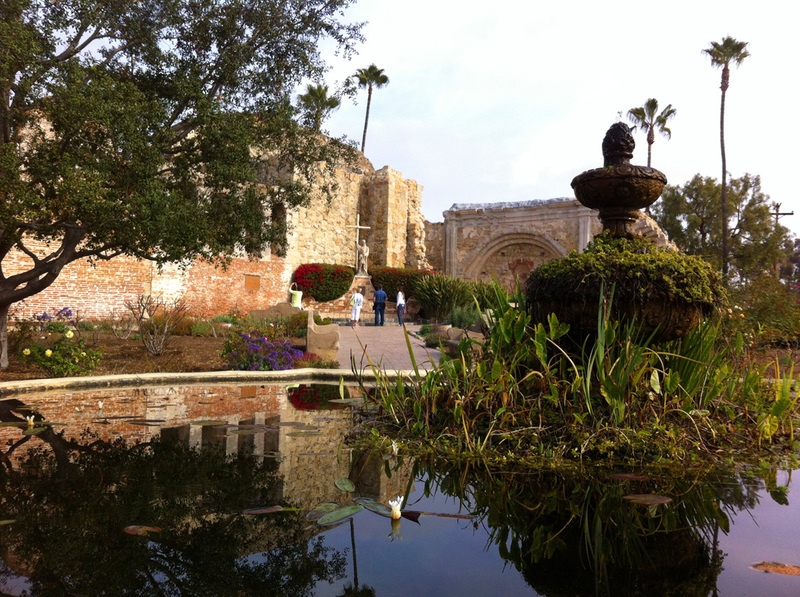 In an effort to get my travel legs back under me after the holidays, I decided to head to a California landmark that I had passed many times, but never managed to visit: Mission San Juan Capistrano (Landmark #200). There was so much to see here that I’ve actually broken it down into two main posts. The first is a look at the larger Mission and the second, which I’ll post tomorrow, is a more specific look at the ruins of the Great Stone Church. 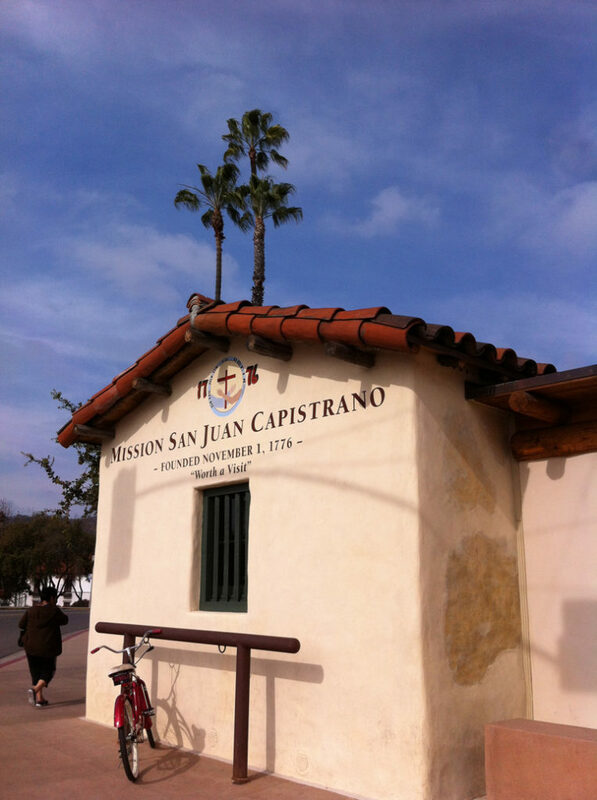 For those of you who are new to Mission San Juan Capistrano, it was founded in 1776 making it the seventh of 21 missions to be founded in Alta California for the purpose of expanding the territorial influence of Spain (and by extension, the Catholic Church). 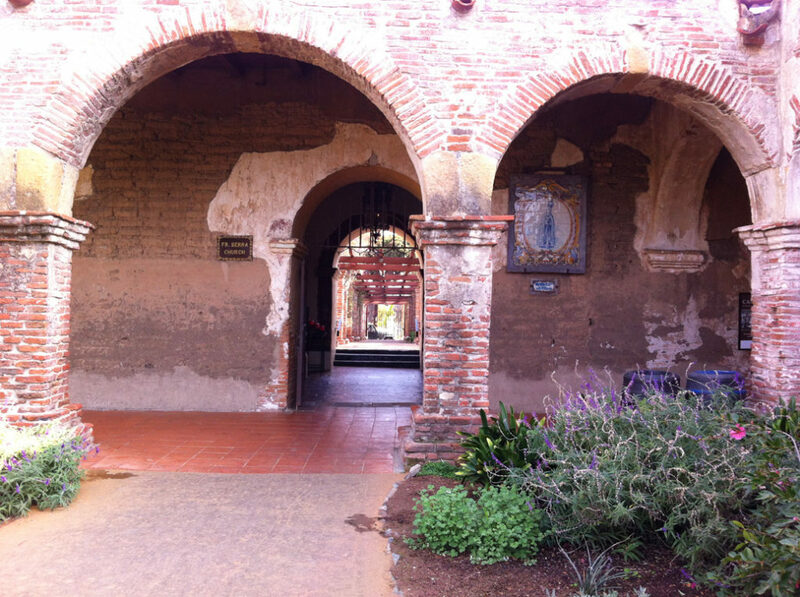 The Mission went through declines, earthquakes, a change in hands when Mexico won its independence, and secularization before President Lincoln returned the Mission to the Catholic Church’s hands. 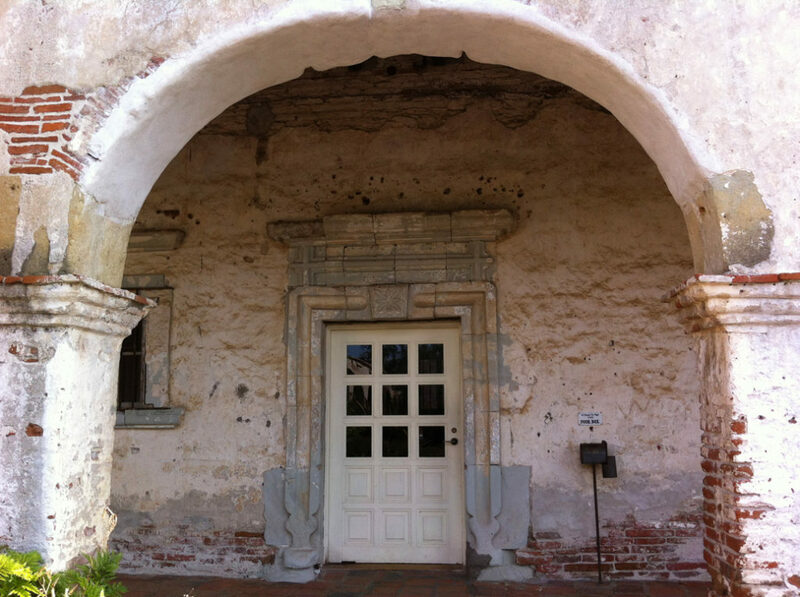 For a much more detailed accounting of the history, including an interesting note about its current status, head to the Mission website. 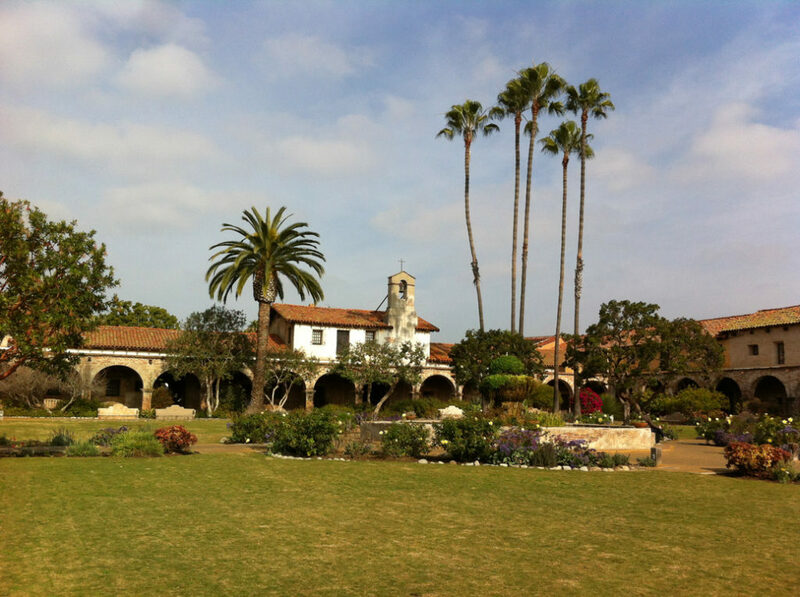 I’ll admit that I’m fascinated by California history. 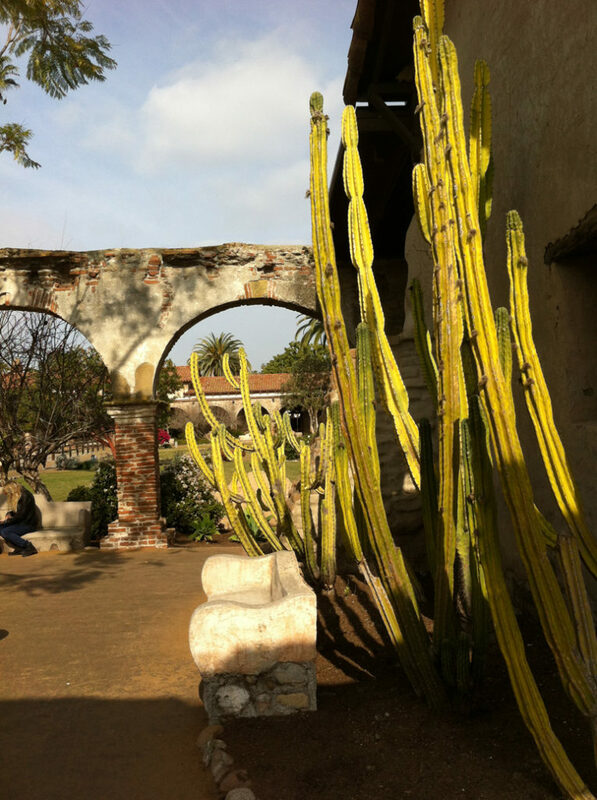 Our earthquakes don’t always make visiting the spots easy as preservation efforts have an extra challenge here and what remains isn’t always stable. 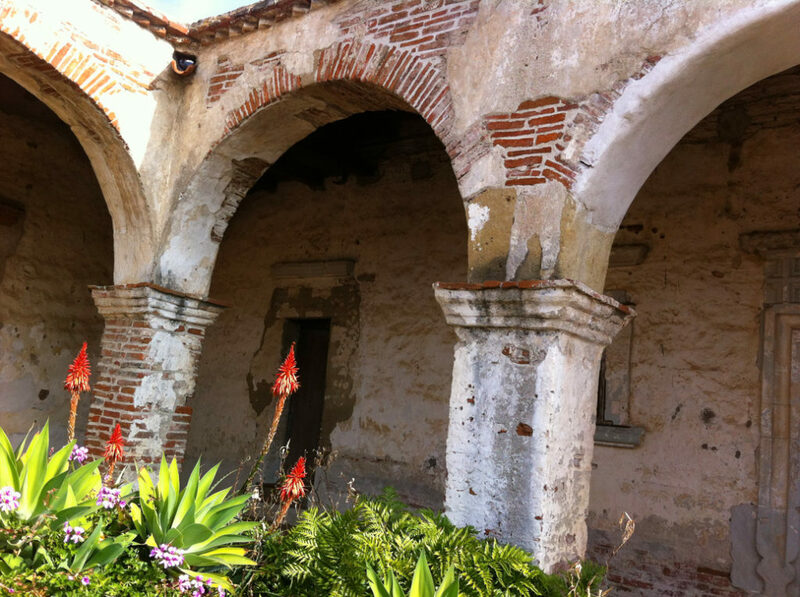 But I’ve stopped at a number of the missions that are still standing, and I always learn something new, even if it is just about the architecture–I can’t imagine creating some of these structures without the benefits of modern equipment. Perhaps that’s my fascination. As you’ll see from the slideshow as you click through it, this trip saw me mesmerized by arches. 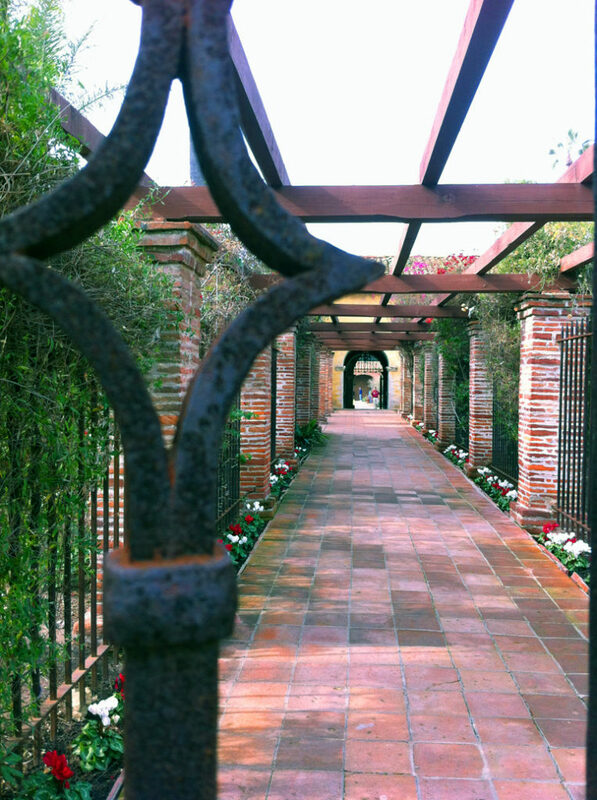 With long corridors surrounding the central courtyard, I had plenty of arches to keep me (and my camera) busy. For those of you thinking of traveling to the area, here are some details you might need. The swallows return on March 19th. It’s quite a big deal down there, so if you want to join them for Swallows Day, you might want to plan ahead. The entrance fee for adults is $9. 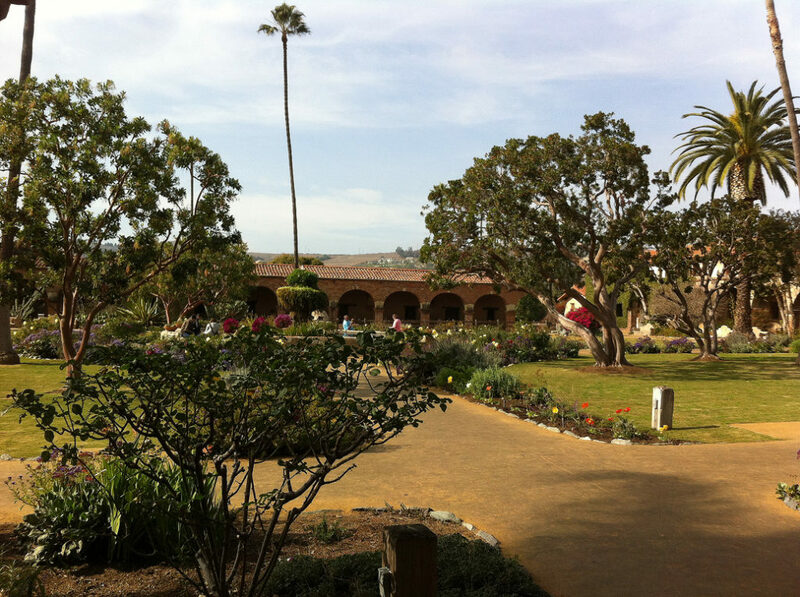 The audio tour is included in that fee, and there are guided tours daily for a small additional fee. Parking is plentiful. I found that free parking is pretty easy to spot near the east gate (you will have to walk to the front entrance to pay admission). You could definitely see your skills in the article you write. The world hopes for even more passionate writers such as you who aren’t afraid to say how they believe. Always go after your heart. I’m amazed, I have to admit. Seldom do I encounter a blog that’s both equally educative and amusing, and let me tell you, you’ve hit the nail on the head. The issue is an issue that not enough folks are speaking intelligently about. I am very happy that I stumbled across this in my hunt for something regarding this. I’m more than happy to find this website. I need to to thank you for your time for this particularly fantastic read!! I definitely savored every little bit of it and I have you saved as a favorite to check out new stuff in your web site. You ought to take part in a contest for one of the best blogs on the internet. I will highly recommend this blog!